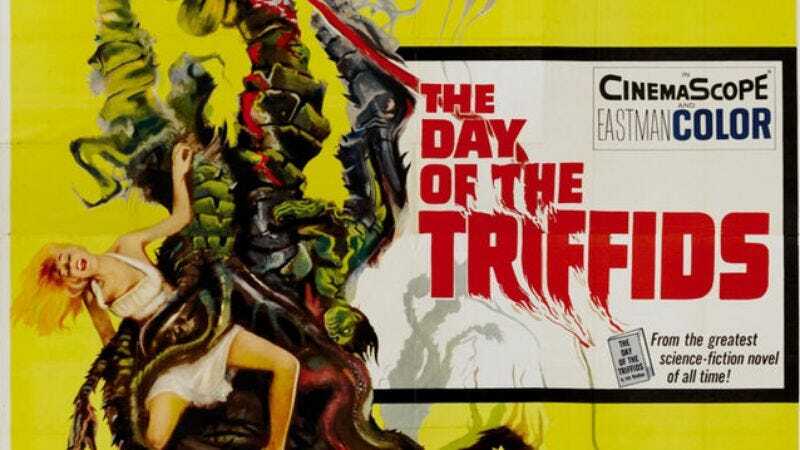 An update of the 1962 B-movie The Day Of The Triffids has been in the works since 2010, creeping slowly toward the screen like a sentient, killer weed that you can’t just spray with herbicide because of outer space reasons. And now Deadline reports that—after producer Sam Raimi passed on directing, likely figuring he’d had enough of invasive trees on Evil Dead—the story of an Earth blinded by a meteor shower and under attack by sentient vegetation monsters is now in the hands of director Mike Newell, who will work from a script that Mama writer Neil Cross began adapting last year from John Wyndham’s novel. Newell’s eclectic résumé includes Harry Potter And The Goblet Of Fire, so he knows about big fantasy spectacle, and Donnie Brasco, so he knows from stories about plants. Adding to his credentials, he also helmed Four Weddings And A Funeral starring Hugh Grant, whom Hollywood insiders know is really just a well-groomed ficus.